PPerhaps you are already familiar with the cheerful City Sightseeing open-top red buses that take visitors around nearly 100 cities on six continents? Johannesburg is a city that comes to life when viewed from this vantage point, so why not hop on and hop off in the City of Gold. City Sightseeing open-top bus tours in Johannesburg let you experience this vibrant city and what it has to offer. You can hop on and hop off at any one of 12 interesting stops, and then continue your tour at your own pace. You can linger longer if you have time, or see the city in just a few hours. CChildren get their own special commentary plus a complimentary activity pack. CCity Sightseeing open-top bus tours in Johannesburg let you experience this vibrant city and what it has to offer. You can hop on and hop off at any one of 12 interesting stops, and then continue your tour at your own pace. You can linger longer if you have time, or see the city in just a few hours. The Carlton Centre where you’ll get to experience stunning panoramic views of Johannesburg and beyond. The spacious wraparound viewing deck is on the top floor of the 50-storey, 223m-high Carlton Centre, Africa's highest building. If vintage cars and vehicles of all types are your thing, then you’ll be fascinated by the James Hall Museum of Transport, showcasing historic vehicles from ox-wagons, horse-drawn carriages, trams, trolleys and steam trains to Johannesburg’s very first car – a green 1900 Clement-Panhard. You’ll be poignantly reminded of South Africa's turbulent past at the Apartheid Museum, where you’ll be taken through South Africa’s history of an oppressive state-sanctioned system, and the brave struggle to overthrow it. If you want to delve into the beginnings of the human race, then the Origins Centre, at the University of the Witwatersrand, is the place to spend time. It’s child-friendly and explains our origins in an interesting and comprehensive way. Check out the bookshop and have a bite to eat at the great little cafe. And, if that’s not exciting enough, there are still eight more stops to explore in bustling Johannesburg! Want to explore some more? 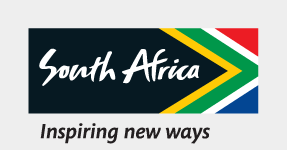 The Red bus company also takes guided tours into Soweto, Johannesburg's largest and most vibrant neighbourhood. South Africa is known as a gay-friendly destination and Johannesburg is no exception. From picturesque Cape Town and laid-back Durban to friendly Port Elizabeth and bustling Johannesburg, here’s a rundown of the top 10 cities.